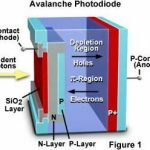 Why photodiode is operated in reverse bias? n the absence of light, the dark current flowing through the diode is of the order of few mA. In the presence of light, the photocurrent flowing through the photodiode is slightly increased and it is also in the order of few mA. But the change in dark current to photocurrent is not significantly noticeable. Therefore, the photodiode is not operated in forward bias condition. In the absence of light, the dark current flowing through the photodiode in reverse bias condition is the reverse saturation current and it is very small in magnitude about few nA. 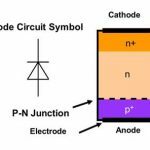 The ratio of photocurrent to dark current is significantly very large as compared to forward bias condition. Therefore, photodiode is always operated in reverse bias condition.